employees with credibility and class. Our whole focus is taking the subjectivity out of motivation, as well as all the risk. We have found that many business leaders avoid any attempt to improve their employees' engagement level ... but not because they think "motivation" is unnecessary, rather they simply don’t know how to measure their return on investment. You feel your people have huge hidden potential, but you can't seem to generate sustained productivity. People are fearful of the current "economic crisis", and it has become a distraction in your organization. You are feeling stress and anxiety because your current plan for inspiring and motivating your team is inconsistent and unfocused. You have a shrinking budget, and are seeking creative solutions to maximize your training dollars. Your credibility and image are on the line, and you need measurable data to support your decisions for investing in your people. You’re short on time and have limited resources, so creating a plan is difficult. ARE YOU SIMPLY LOOKING FOR WAYS TO CUT COSTS OR ARE YOU TAKING ADVANTAGE OF AN UNTAPPED RESERVE? Witness Your Employees Playing Full Out. You will take your team from complacent to engaged, leading to greater individual performance and fulfillment. Experience a Culture of Success AND Significance. You will encourage your team to focus on creativity, innovation, and abundance vs. myopically focusing on current economic/industry conditions and fears. Provide a SYSTEMATIC PLAN for Motivating Your Team. Disjointed programs will become a thing of the past, and you will begin to see the power of sustained momentum. Impact Everyone in Your Organization Without Breaking the Bank. Our adaptable delivery methods allow you to reach more for less. Receive Appreciation from Employees and Kudos from Peers and Leadership. Lives will be transformed because of your decisions, supported by an ROI linked to measurable results and specific business objectives. Ultimately See Improvements in Your People, Performance, and Profits. The “People” side of business will begin operating in autopilot, so you can focus on other pressing needs. DOUG HANSON SPEAKING is committed to providing a world-class live event experience, from an engaging keynote at your next national convention, product launch, or incentive trip, to a full-day training for an executive retreat, sales training, team building initiative, and more. 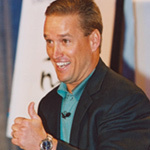 Recognized by countless companies such as Verizon, US Bank, DHL Globalmail, Southwest Airlines, H&R Block, and even the NFL as one of the most down-to-earth, dynamic, and memorable speakers they've ever experienced, Doug's message is guaranteed to resonate with your group. 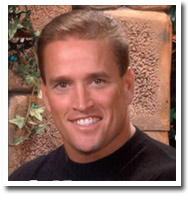 Contact us to find out the three things that make Doug unique from any other speaker in the world. Or read what others are saying at www.doughanson.com. META-MORE-PHOSIS is an engaging 8-Week online experience designed to help any business leader, at any level, in any industry, solidify a winning culture, and improve the mindset and energy of every employee. Developed as a complement and/or an alternative to Doug Hanson's live events, reach your entire organization without any loss in productivity. Contact us for a brief demo to see how you can motivate your team while also reaching your company’s business objectives. Or listen to an audio sampler and read hundreds of testimonials at www.mmpjourney.com. 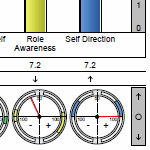 ASSESSMENTS: A foundation beginning with behavioral assessments, we have expanded our solutions to effectively measure internal values, personal skills and sales ability. With years of research and validity, our assessments are time-tested and proven to provide solutions for today’s business challenges with selection, satisfaction and development of a company’s biggest asset – people. 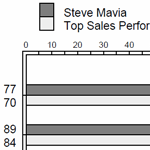 Contact us to see how a simple assessment can lead to improved communication, teamwork, sales, and executive coaching. Or read more here. Because we have years of research and practice, and have experienced success with some of the greatest companies in the world. Because our solutions reach everyone in the organization (every level of education, every learning style) instead of just a select few, leading to sustained results. Because our system is customizable vs. simply hawking "out of the can" products. Because we measure success based on your input. Is it financial improvement? Increased productivity and creativity? Self-management? Personal responsibility? Stronger teams? We let you decide how our programs will be evaluated, we provide you with the relevant data, and then we let you determine their effectiveness. Because it just makes sense to invest in your employees' personal and professional development! 84% of highly engaged employees believe they can positively impact the quality of their company’s products compared to 31% of the disengaged. 72% of the highly engaged believe they can positively affect customer service compared to 27% of the disengaged. 68% of the highly engaged believe they can positively impact costs in their job or unit compared to 19% of the disengaged. Our solutions were created on the front lines in response to client demands (vs. a self-proclaimed "Subject Matter Expert" spending years researching a specific topic, writing a book, and then tying every solution back to that book). We have a solution for EVERY budget … including free. We don’t get paid unless you see value. If you don’t see improvements in your people, performance, and profits, you don’t pay. We make the operations easy. All you have to do is say “Yes”. 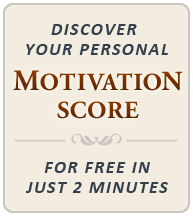 Discover your personal "Motivation Score" for free in just 2 minutes. Can you really measure motivation? Let us show you how! See how your motivation score compares to thousands of others. Immediately access your greatest strengths and weaknesses, as well as a personalized recommendation on how to improve. Take two minutes for yourself, turn off your phone, close your door, and uncover what is driving you and what is holding you back. It's our gift to you! Contact us online or call 281-391-7532 to schedule an appointment for a quick assessment of your needs and potential solutions. (1) Tower Perrins HR Services, "Largest Single Study of the Workforce Worldwide Shows that Employee Engagement Levels Pose a Threat to Corporate Performance Globally", August 2005. (2) "Gallup Study Indicates Actively Disengaged Workers Cost U.S. Hundreds of Billions Each Year." Gallup Management Journal, March, 2001. (3) "Employers get real about morale." Work & Family Newsbrief, October 2005, p.3. (5) Sirota Survey Intelligence, "Work Fervor: employees are as motivated as you allow them to be." How exactly do we measure motivation? 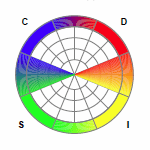 Take our free sample assessment to discover your own personal "Motivation Score", as well as how you compare to the rest of the world, your unique "motivation strengths", as well as a personalized recommendation on where we feel you can most improve. Sign up for free inspirational messages and updates from Doug Hanson.